“Immensely talented and insightful conductor, whose standards, taste and sensitivity are impeccable,” raves The Washington Post. Piotr Gajewski, a student and disciple of the late Leonard Bernstein, continues to thrill audiences all over the world with inspiring performances of great music. “His courtly, conservative movements matched the music’s mood. A flick of the finger, and a fanfare sounded. He held up his palm, and the musicians quieted. It was like watching a race car in the hands of a good driver,” reports The Buffalo News. Maestro Gajewski has one foot in the United States, as music director & conductor of the National Philharmonic at the Music Center at Strathmore (metropolitan Washington, DC), and the other in Europe, as principal guest conductor of the Silesian Philharmonic (Katowice, Poland) and frequent guest at other orchestras. His immense repertoire, most of it conducted without a score, amazes critics and audiences alike. He is one of a select group of American conductors equally at home in nearly all musical genres. A recent season saw him conduct Bach at the Northwest Bach Festival, Prokofiev with the South Florida Symphony, and Copland in Jelenia Gora, Poland. While Gajewski freely admits that Mozart is perhaps his favorite composer, he ventures as far as Barry Manilow and beyond at pops concerts, and has led several dozen world premieres, including a recent one of the opera Lost Childhood by the American composer Janis Hamer. A committed arts educator, Maestro Gajewski is the muscle behind the National Philharmonic’s groundbreaking “All Kids, All Free, All The Time” initiative, as well as the creation of summer institutes for young string players and singers, masterclasses with esteemed visiting artists, and a concerto competition for high-school students. Working with the local school system, Gajewski also established annual concerts for all second-grade students in Maryland's Montgomery County--some 12,000 each year. In his native Poland, in addition to the Silesian Philharmonic, Gajewski has appeared with the Warsaw, Wroclaw, and Krakow philharmonics, as well as most other major orchestras. Since 2007, he has regularly served as the only American on the jury of the prestigious Grzegorz Fitelberg International Competition for Conductors. Gajewski began studying piano at age four. After emigrating to the United States, he continued his studies in the Preparatory Division of New England Conservatory, at Carleton College in Minnesota, and at the University of Cincinnati College-Conservatory of Music, where he earned B.M. and M.M. degrees in orchestral conducting. His conducting mentors, in addition to Bernstein--with whom he studied at the Tanglewood Music Center on a Leonard Bernstein Conducting Fellowship--include such luminaries as Seiji Ozawa, André Previn, Gunther Schuller, and Maurice Abravanel. 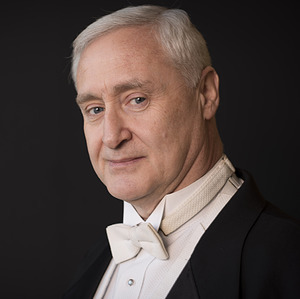 Maestro Gajewski’s many honors include Poland’s Knight’s Cross of the Order of Merit, bestowed on him by the former president of Poland, and a prize at New York’s Leopold Stokowski Conducting Competition. A true Renaissance man, Gajewski continues to play competitive soccer, holds a law degree and a license to practice law in two states, and from 2007 to 2011 served on the City Council in his hometown of Rockville, Maryland. Piotr Gajewski is represented worldwide by Sciolino Artist Management samnyc.us.